1.16 MB, 1080x1920px, 8 secs. 16.56 MB, 1080x1920px, 7.9 secs. 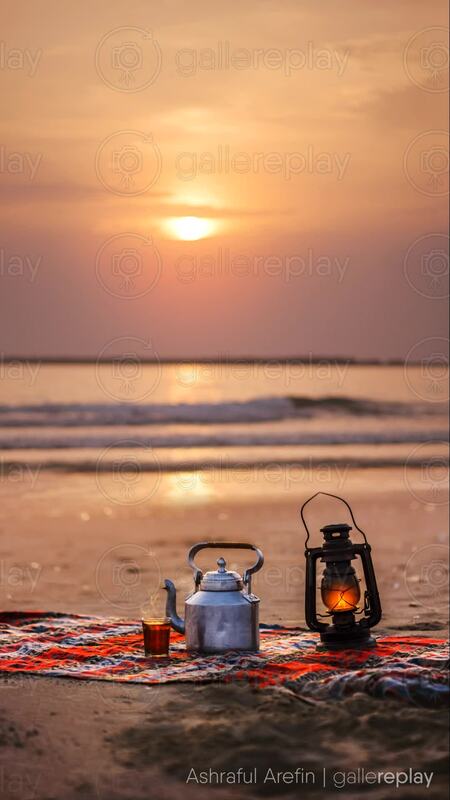 Cup of tea resting on a blanket beside a kettle and lantern on the beach at sunset.